MLT COLLEGE Saharsa – A constituent unit of BNMU Madhepura. Official website of MLT College Saharsa a unit of Bhupendra Narayan Mandal University. 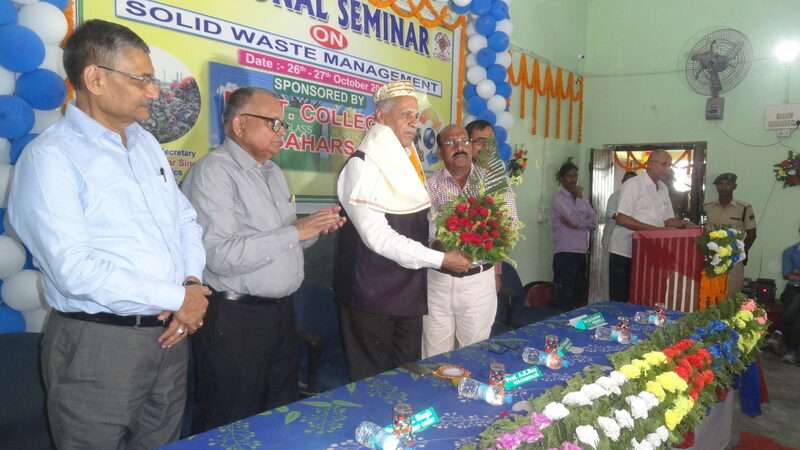 MLT College (Old name : Saharsa College) was established on 2nd June 1952, in Which Rai Saheb Manohar Lal Tekriwal made a remarkable contribution. On his memory college was named MLT College from Saharsa College by decission of BNMU & State government. At first the college was under Bihar & Bhagalpur University. Again in 1974 college was undertaken by State Gov. after becoming constituent unit of Lalit Narayan University.The college has a glorious history which has inspired everyone to make this institute spread education around Koshi division of Bihar. MLT College (Manohar Lal Tekriwal College) is a premier institution for Boys & Girls and well known in the Koshi region for its value based education, quality teaching and discipline. Established in the year 1952. MLT College is a constituent unit of BNMU (Bhupendra Narayan Mandal University), Madhepura.